Come and enjoy a charity football match at Kingfield in aid of Woking Hospice and the Children With Special Needs Foundation. 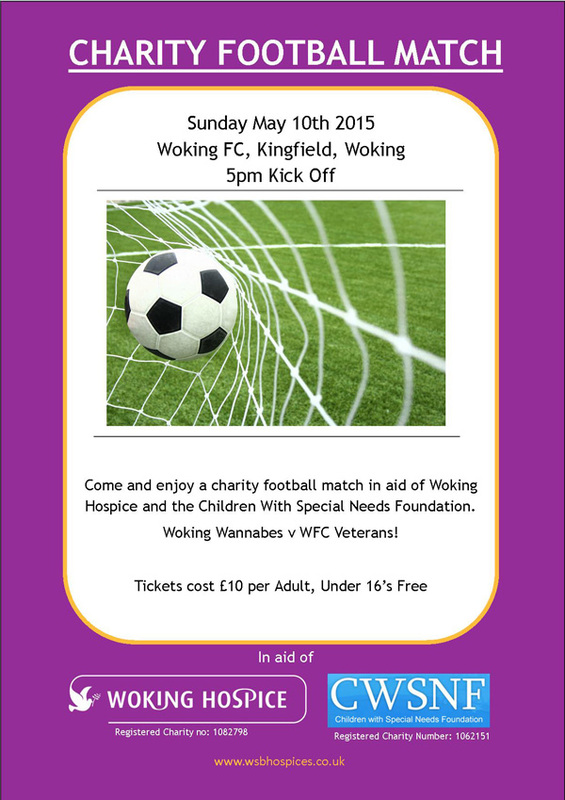 Kick off between Woking Wannabes & WFC Veterans is at 5pm on Sunday 10th May 2015. Tickets cost £10 for Adults and Free for Under 16s.